If you need help with bra size. Don't worry. 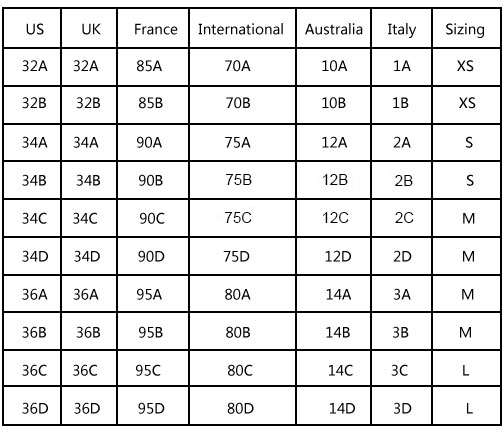 See below for our Bra-to-Alpha and International Size Conversion charts!